One of the unfortunate side effects of being chronically ill, having surgery and returning after a hiatus, and getting back in Bar Method is that I'm way behind on all of my blogging, including talking about some of the products that Givenchy has launched so far in 2017. I have no idea what the Canadian availability of the limited editions is at the moment, but I did find them all listed on the American Sephora website so that's a hopeful sign. 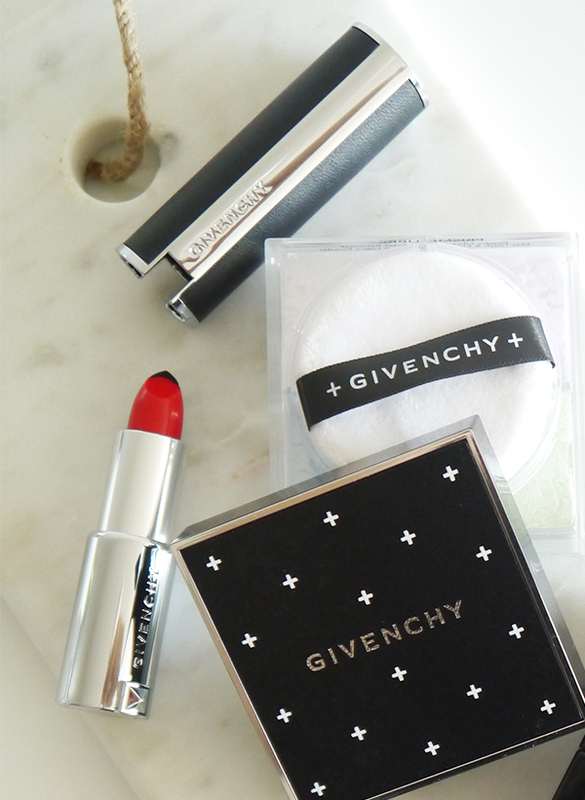 Beauty lovers, here's what's new and noteworthy from Givenchy this year! 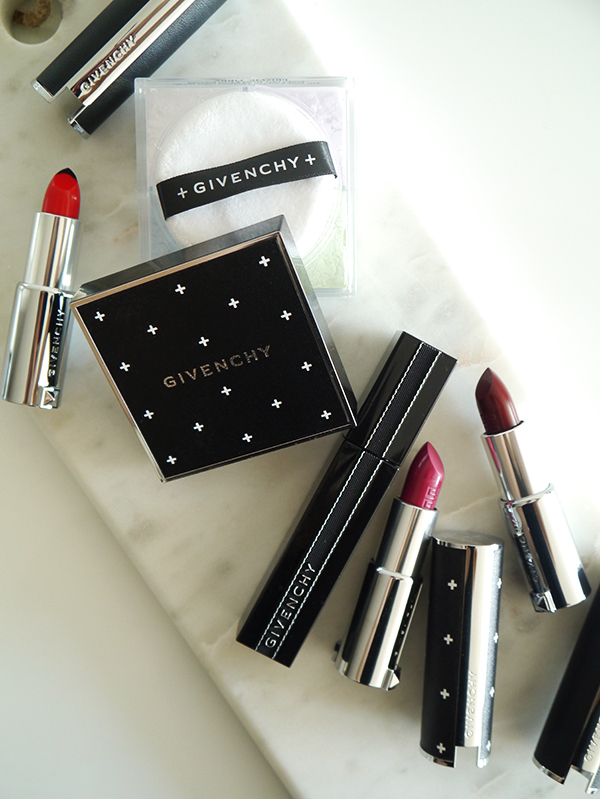 Givenchy Le Rouge lipsticks are a thing of beauty, from the genuine leather to the silver stud and monogram details on the exterior, all the way down to the slip, build-able colour, and light fruit scent of the formula—the epitome of a luxe lippie. 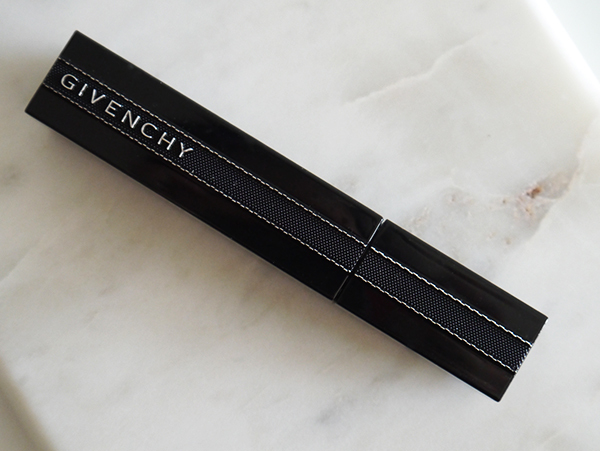 Given how Givenchy Rouge Interdit is one of my fave long-wear, highly pigmented lipsticks of all time, I'd expect nothing less. 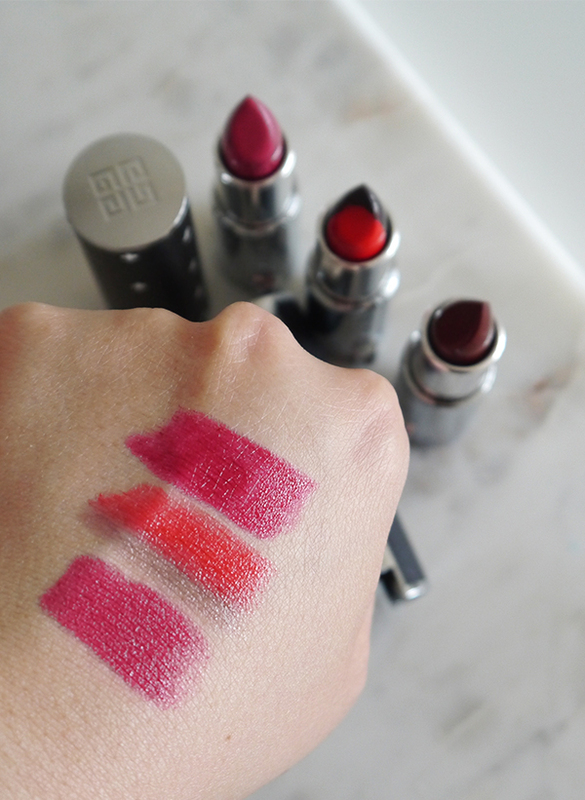 The three lipsticks I'm showing you today are each noteworthy in their own ways. Givenchy Le Rouge Couture Edition 315 Framboise Velours ($45) has a limited edition printed leather cap, with a white cross motif inspired by Givenchy's runway designs. The shade—a velvety matte raspberry, just as its name suggests—would flatter cool complexions and be a lovely choice for fall despite its having been launched in spring 2017. Le Rouge Couture Edition's darker, slightly moodier sister is the newly released Givenchy Le Rouge 326 Pourpre Edgy, which has been described on the Sephora site as a "dark maroon red." No limited edition packaging for the latter, alas. Two-tone lipsticks have been all the rage in Korean beauty for a while now, so it was only a matter of time before Western brands jumped on board. 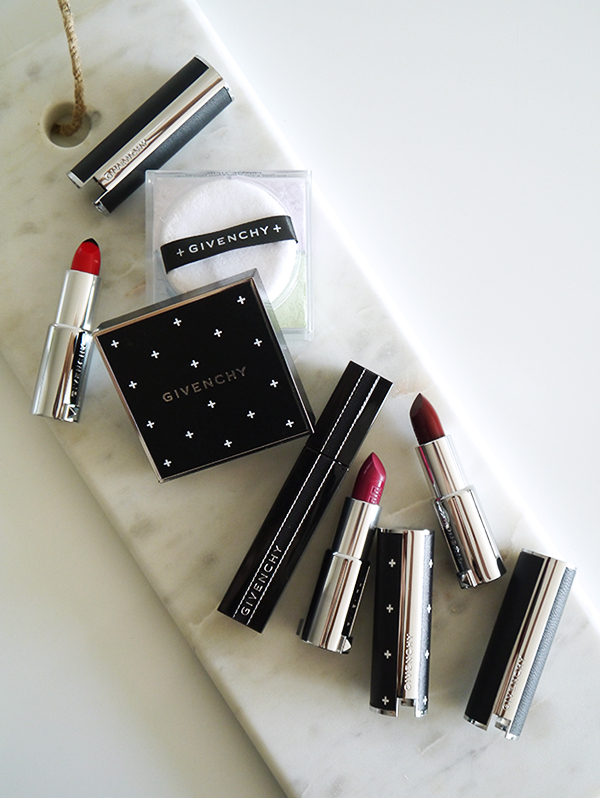 Givenchy's take is Givenchy Le Rouge Sculpt, a collection of 5 two-tone lipstick shades that promises to contour and sculpt lips. A darker shade at the tip of the bullet featuring the secret Noir Révélateur formula defines the lip line, while a core shade highlights the centre of the lips. The shade I was sent for review, 01 Sculpt'in Rouge, looks intimidatingly goth-y for everyday wear; indeed, when I swiped it on to test it for the purposes of this post, my first thought was "I should save this for Halloween if I ever decide to dress up as a vampire." The black edges did mellow when I pressed my lips and the formula doesn't go on completely matte (more semi-sheer), but I still couldn't shake that thought entirely. There are other less avant garde colour combinations available, including deep berry/red pink, fuchsia/pink, coral/brick red, fuchsia/pink, coral/brick red, rose/berry. Swatched above for your viewing pleasure, from top to bottom: Le Rouge 326 Pourpre Edgy, Le Rouge Sculpt 01 Sculpt'in Rouge, Le Rouge Couture Edition 315 Framboise Velours. Note how the colours catch the light and have the slightest sheen to them, giving more dimension to lips than a flat matte. 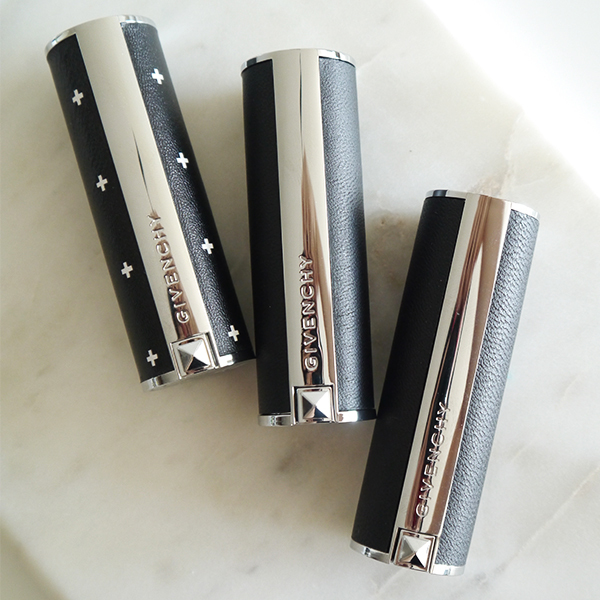 Like the Couture Edition lipstick, Givenchy Couture Edition Prisme Libre Loose Powder ($69) features a white cross motif across its inlaid leather lid. Inside, four pastel-coloured powders in pink, lavender, pale blue, and pale green blend together to mattify, colour-correct, and promote radiance. To prevent powder from flying everywhere, keep the puff in place while flipping the jar upside-down. The dotted monogram Gs that dispense the powders ensure there's an even amount of each colour and minimize waste. This one would be lovely on its own or over foundation—it zaps shine in the T-zone and imparts a velvety, flawless finish on top of makeup. I can count on one hand the number of mascaras I've tried that don't clump, smudge, or flake on my Asian lashes. 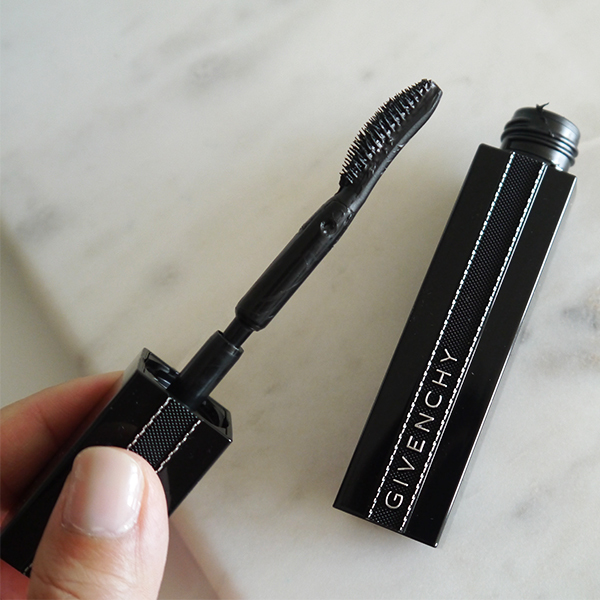 Givenchy Noir Interdit Mascara comes so close to being perfect that I want to give it full points. 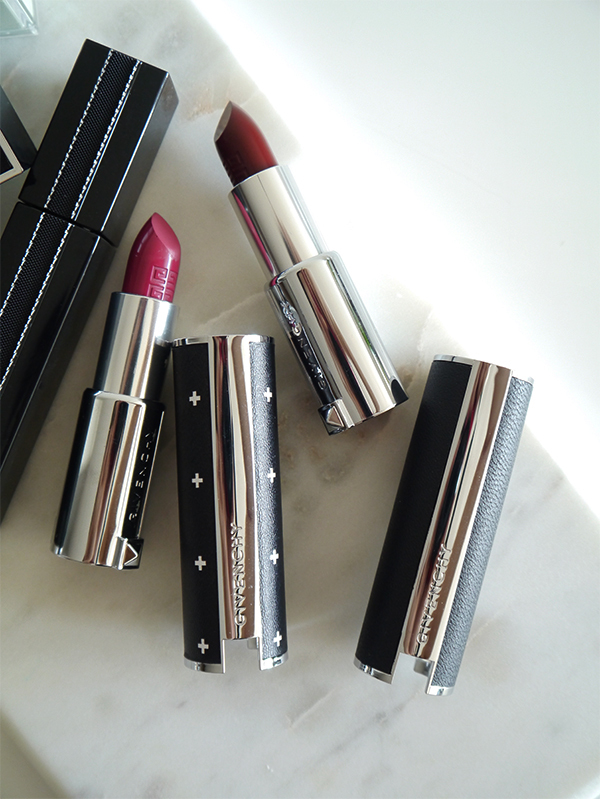 First, there's that packaging to ogle, a square tube adorned with silver beaded edging and a black ribbon, just like the Rouge Interdit lipstick. It's the sort of packaging that lets you know you're in for something special even before you open it. The brush is one of the smartest, most ergonomic designs I've ever seen in mascara applicators. First, all of the ultra-fine bristles are on one side—because really, what use are the bristles on the other side of a mascara brush when you are only using a portion of them to apply the product? Why has nobody thought of this before? But the piece de resistance has to be the hinge in the middle of the brush, which lets you get at your lashes from every which angle. Sheer genius. 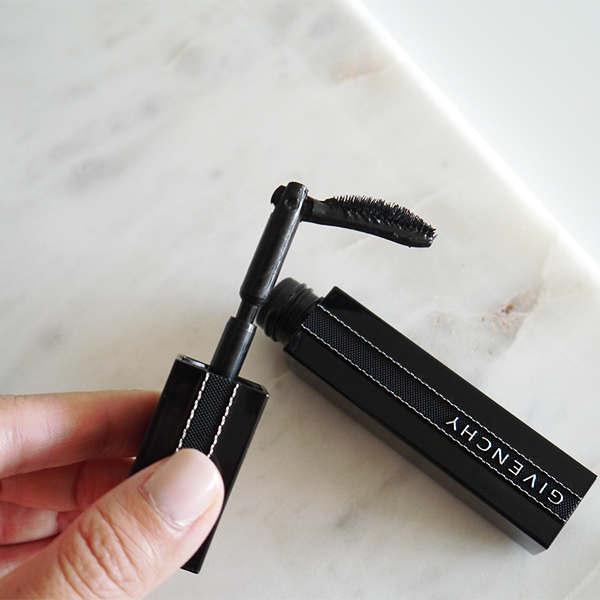 Noir Interdit didn't deliver the dramatic lash extension effects it promised on its packaging, but it did make my lashes look longer and more fluttery, while the dense fine bristles ensured minimal clumping. The brush design also let me get to every lash without smudging any product on my eyelids. My only quibble is with the formula itself, which created slight shadowy smudges around my lower lashline by the time 2pm rolled around. As I've noted many times in previous mascara reviews though, I have extra oily eyelids, so chances are if it only smudges subtly on me, it'll stay put on you. Loving the packaging of this range. Everything looks really cool and unique! 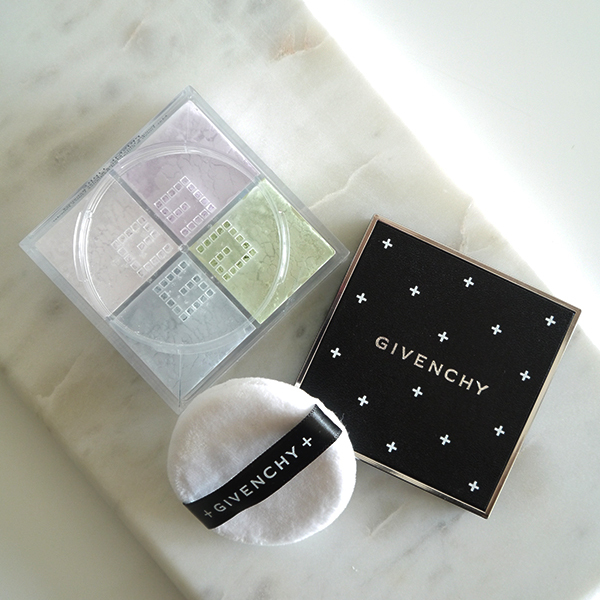 Yes, Givenchy always knocks it out of the park with their packaging!